gives a MeshRegion representing the Delaunay mesh from the points p1, p2, …. 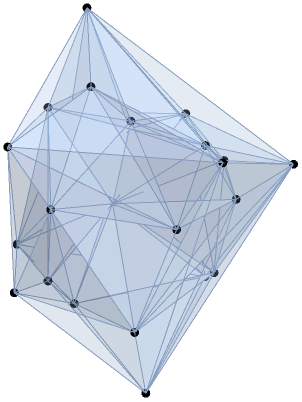 DelaunayMesh is also known as Delaunay triangulation and Delaunay tetrahedralization. 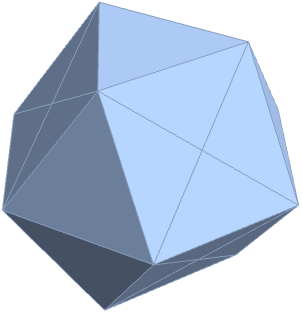 A Delaunay mesh consists of intervals (in 1D), triangles (in 2D), tetrahedra (in 3D), and -dimensional simplices (in D). 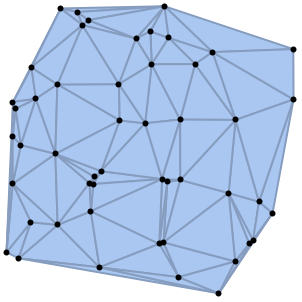 A Delaunay mesh has simplex cells defined by points, such that the circumsphere for the same points contains no other points from the original points pi. The Delaunay mesh gives a triangulation where the minimum interior angle is maximized. DelaunayMesh takes the same options as MeshRegion.